I picked this one up fairly soon after finishing Gone Girl because I was just so intrigued with Gillian Flynn’s incredibly writing and the way she sees the world. The way she highlights the stark truths that are right in front of us but we are often too distracted to see.I just needed more of it. What’s it about: Libby Day’s family was brutally murdered when she was seven, suspected as part of a Satanic ritual, and her testimony against her brother, Ben, put him in jail for life. Years later, she meets a group of people obsessed with her family’s murder who believe that Ben is innocent. What did I think: In true Gillian Flynn fashion, this was a nasty little scab of a book. That is not to say it’s a bad book. It’s not, but it is an awful and uncomfortable read. Gillian Flynn has a gift for showcasing human beings for the evil little nasties that they are. The book alternates between chapters from the POV of Libby when she is 32, and Patty and Ben on the day leading up to the murders. Reading from the perspective of Ben and Patty I found very unpleasant as they are both just such lonely and pathetic characters that their awkwardness sort of creeps off the page and into you. I did love Libby as the main character. She was incredibly flawed but her development was just perfect. The mystery is brilliantly written and will keep you guessing the whole way through. You will go round in circles of suspicion as more and more clues and red herrings are revealed. All the little clues slot together so perfectly to create a fantastic mystery. There is not a single detail in this book that is not planned to perfection. I didn’t like this one quite as much as Gone Girl, but I would still highly recommend it. I definitely haven’t had enough of Gillian Flynn and hope to soon pick up Sharp Objects. Find it here: Goodreads, Amazon, The Book Depository, Kobo. 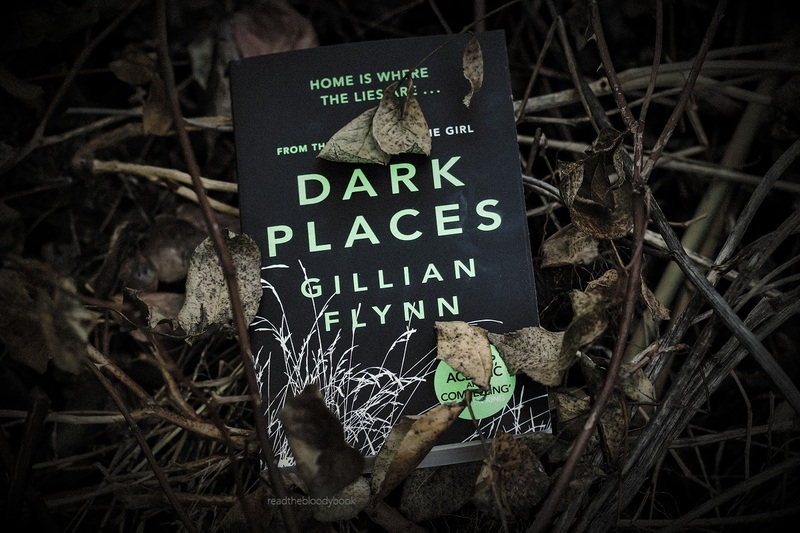 I haven’t really been interested in reading any Gillian Flynn books until the trailer for the Dark Places movie came out a few weeks ago. From the sounds of things it’s incredibly creepy, which would be so interesting to read. I’m glad the mystery is good! I wouldn’t say they are necessarily creepy, more just messed up. I just read this book and skimmed through the movie. Its amazing to see what and how much they left out. When I first started reading it, I thought the reason behind the murder was gonna be something super nasty and evil but when you actually find out the reason behind it, it made it seem more humane in a weird way.